The Southwest Corner King Rooms sleep two persons and feature a king bed. 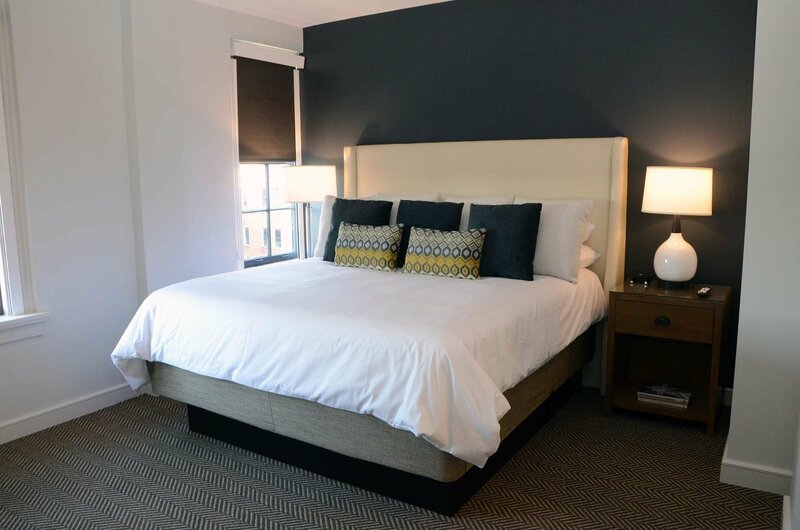 These rooms have a 43” wall-mounted flat screen TV, blackout shades on all windows, a writing desk, and comfortable seating. The southwest facing view overlooks Oliver Street and Church Street with some views of the historic Elbert Theatre. Each of our hotel rooms feature plush linens, premium bath amenities, walk-in showers, flat screen televisions, a writing desk, in-room Keurig coffee makers, mini refrigerators, free wireless internet, in-room clothing irons and boards, hair dryers, free long distance telephone calling in the United States, and more. 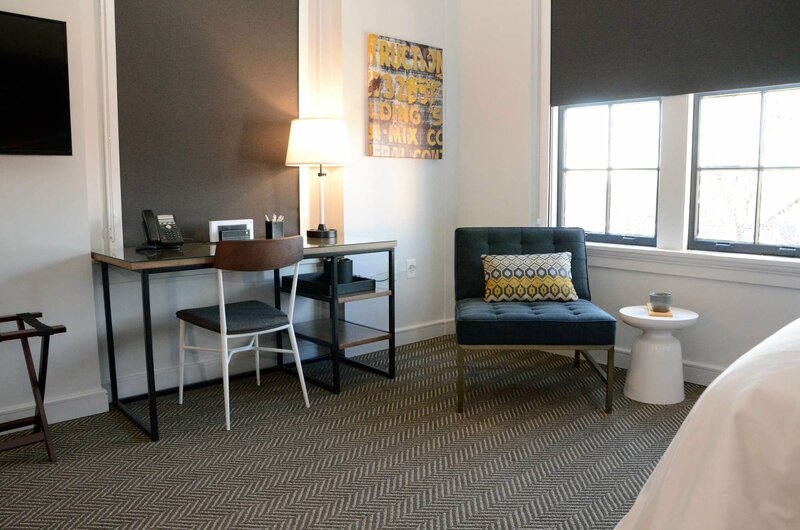 With lovely views from almost every window, the Samuel Elbert Hotel combines the character of a historic property with the technology and conveniences of today. 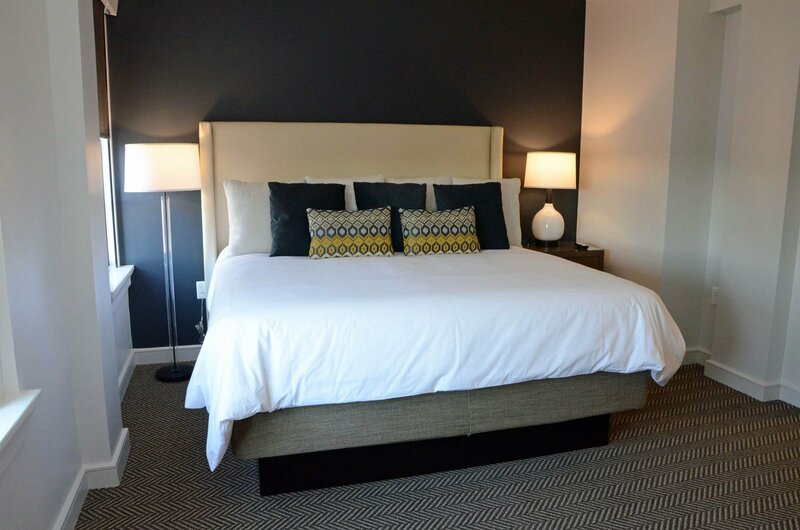 The luxurious 27-room getaway accommodates meetings and events, perfect for retreats or family gatherings. Guest rooms and suites are situated on three floors. Each room has its own unique character and charm enhanced by the appealing city views through the original windows of 1925. We are committed to accessibility. Read our website accessibility statement.